Easter is the once event that defines Christianity. Jesus Christ came to live, in order to die, to save Mankind from the grasps of Evil. He resurrected from death, ascended into Heaven. As the Son of God, He conquered evil, out of His Love for us. 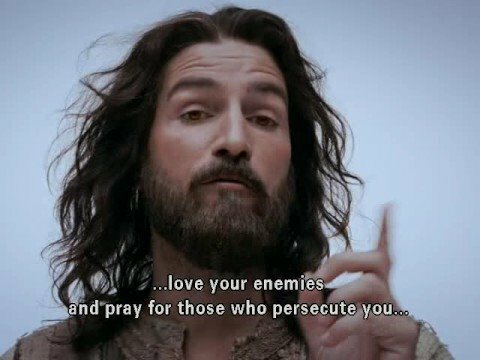 So today, instead of Easter Bunnies, and Egg Hunts…reflect on what Jesus endured, out of His Love for us…for all of Mankind. He was tortured, falsely accused, and punished of a crime He did not commit. 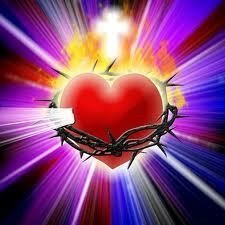 There is no greater love than what Jesus demonstrated at the Cross, at Calvary. There is no greater love that God can show; by giving us chance after chance to make things right. He loved as to send Perfect His Son…to take on our sins, as His Own, and died for us. Such love and forgiveness can not be understood by a mind in mental slavery, that is caught up with the ways of this world. Such love and forgiveness can not be fathomed by a heart that is rooted in the conditional love that is professed by evil. It can only be understood by a heart that is rooted in God’s Love. To endure all He did, Jesus Christ had to have the strength of Divinity within Him; because there is no Man that could have endured what Jesus did. This entry was posted in Thoughts and tagged Armor of God, Battling Evil, discernment, enduring trials, Faith, Fight over souls (good vs. evil), God's Love, God's Promise, God's ways are permanent, Jesus, Jesus and His Crucifixion, Jesus Christ, Self Refinement, Steadfast Faith, unconditoinal love on March 31, 2013 by foodforthespiritualsoul. For the ache in my heart is filled to the brim…to the tippy top. By anyone, without any care. I can only imagine how Jesus feels…He must sob with great cries. For each time we hurt each other, that is one step closer, in Hell to burn. So that will fall off God’s Paths, and not answer His Call. Yet, You still found something in me for Jesus to die, and get me out of evil’s claws. I would never of evil’s ways condone. Which has often made my lonely paths full…and me soar to heights like a dove. Has made many to fall at evil’s feet…in front of it to lay. Seeing what occurs…all the things done…and words to say. Of these ways, they have to flee. This entry was posted in Thoughts and tagged A call to help fellow man, Armor of God, Battling Evil, Christ, Christian Poetry, compassion, discernment, enduring trials, Evil, evil ways are temporary, Faith, Fight over souls (good vs. evil), God, God's Love, God's Promise, God's ways are permanent, God's Wrath, Path to Truth, Persecution, Spiritual Battles, Spirituality, unconditoinal love on March 4, 2013 by foodforthespiritualsoul. It only gives rise to happiness and of joy it gives birth. And rids evil that is creeping. For God of it all, clears. From all of evil’s tricks and ghouls. Is grounded in truth that transforms with just one dart. Having the power to thaw out any cold heart…and for truth to call. It sees what Divinity puts in its path…in it what lays. For evil of it wants to destroy…and of it to stain. This entry was posted in Poems and tagged Armor of God, Battling Evil, Christian Poetry, discernment, enduring trials, Faith, Fight over souls (good vs. evil), God's Love, Path to Truth, unconditoinal love on February 21, 2013 by foodforthespiritualsoul. In the world today, we see many preaching “LOVE”. But what does that mean? It can have different meanings. When it comes to what God professed through the Teachings of Jesus Christ, it is one Universal meaning. If you love God, the Father of Creation, you will understand that He is everywhere and in everything. Therefore, you must love all in your life path. However, the most fundamental thing to do is to love one another. This has to start when we are children. How many crimes against children occur today? They are the most helpless in our society, yet the most receptive to God and His Ways of Love. Why, because they have not had the chance to be soiled by the evil that lurks on this earth, yet. Have you ever seen how a child loves? Or how they forgive? In fact Jesus takes their mindset, as an example as to how we should trust….love…and to analyze with such curiosity. With this purity, in mind, body, and soul….God will enter, and provide the necessary guidance. People think that life was meant to be carefree, to do what you want….and to be free of troubles. Life was originally created that way, in the Garden of Eden. However, that was all tarnished upon Satan introducing sin to Mankind, in the Garden. That is how he initially demolished the direct pathway between Mankind and God. However, no matter how many times Mankind forgot about Him, Our Father in Heaven, still loved us so immensely. He wanted for us to find our way back to Him…to remember His Unconditional Love. 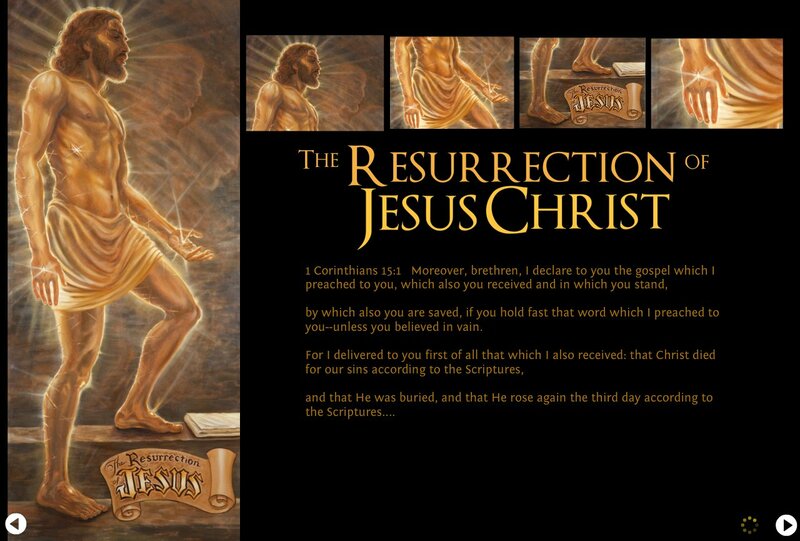 This is why Yahweh, sent His Son, Jesus Christ, down from Heaven, to live amongst us, and to die on the Cross at Calvary. 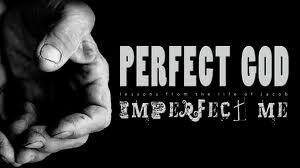 He died, in order to end the pull of Evil over Mankind; and to reestablish the pathway between Mankind and God. Jesus came to show us with His Teachings and in His Death, that God’s Mercy and Love are abundant and endless like the sky above you, and the depths of the oceans. 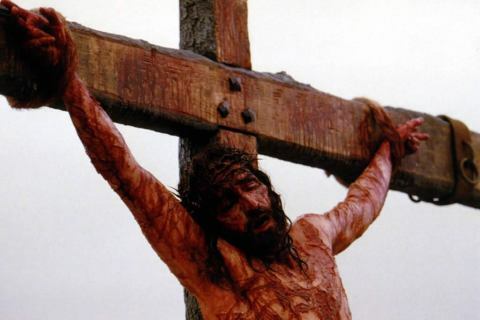 He did this for ALL of Mankind, no matter what race, creed, gender….etc. He created all, and wants them all to come back to Him, and live in His Paradise in Heaven. However we must keep in mind, that God gives us the choice to choose His Ways of Love and Forgiveness; or to continue to follow the world’s ways, which are in accordance to evil. For the Father of Creation has proclaimed many times, that He is not of the world’s ways. So we must separate ourselves from valuing the world’s ways. Just think, children find happiness in the simplest of things…when they unwrap a present…you see a child playing with wrapping paper; or the box of the toy. Not necessarily the toy itself. They play outside with nature: climbing trees…playing in the mud…or with simple things like slides and swings…etc. Children always find happiness and safety in God’s Arms. Each day we wake up, God’s shows His Endless Mercy by allowing for you to wake up to another day to have the chance to choose. He gives us these chances till the very last breath in our earthly bodies. However, note…that once we have chosen this path, it will be a hard road to travel. Because evil wants to bring you back to his grasp. He will constantly throw trials at you, to test the sincerity of your fatih in God, in order to try to pull you off forever from the path. However, remember the love of evil is conditional….with the condition of just having the value of taking you away from the Father of Creation. Jesus showed us through His Death on the Cross, that He loved you so much, as to die for you…to unshackle you from evil. All you have to do is trust in God. God did not ask for you to be perfect…but He asked to seek His Love and Forgiveness with a childlike curiosity….sincerely. He wants to have a relationship with you. He waits everyday to hear from you. It’s just the matter of seeking Him. He will steer you through green pastures to safey into His Kingdom, while there is chaos around you. As human beings today, we have forgotten what the meaning of “LOVE” is. It is thrown around so much, in the wrong context. That is the work of evil…to profess love with condition. The love professed by evil is with condition…with circumstance…with a finite value. It ends upon your value for it being done. But if you look, at love in its true form…all of it is in the unconditional form. It is demonstrated by ALL of God’s Creations. Look at the animals in the wild, do they not show love between a parent and its baby? Does not a parent animal lay down its life for its young? Look at the trees in the fields, do they not provide shelter in harsh weather for those that need it in the wild? Look at a child…do they not love so easily, despite what happens to them? It is selfless in nature when it comes from Divinity. It does not define itself by earthly titles or parameters. We are infinite in value to God; so priceless, that He sent His Son, Jesus Christ, to die in our place, despite being the King of Kings in Heaven.. When we are following the Father of Creation, who says He’s beyond the world’s ways…whom do we have to fear? We must grow stronger in our relationship with Him. 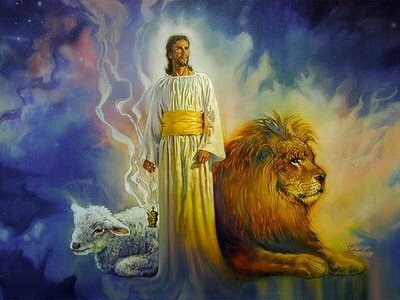 So that He can give us the strength to endure all of the trials that evil will throw at us, in trying to steer us away. 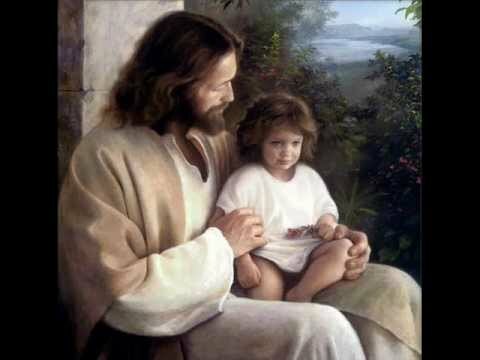 Jesus taught us through His Life, Teachings, and Death….the tools needed to conquer evil….with a trust in God, that is unwaivering like a child to its parents. This entry was posted in Thoughts and tagged A call to help fellow man, Armor of God, Battling Evil, Christ, Christianity, compassion, discernment, Earth, enduring trials, Evil, evil ways are temporary, Faith, Fight over souls (good vs. evil), Forgiveness, Garden of Eden, God, God the Father, God's Love, God's Promise, God's ways are permanent, God's Wrath, Good vs. 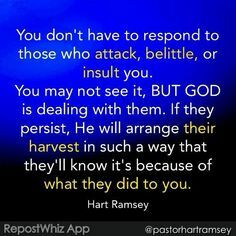 Evil, Jesu, Jesus and His Crucifixion, Jesus Christ, Justice for "the Just", Persecution, Refiner's Fire, Satan's deception, Steadfast Faith, Trials and Tribulations, unconditoinal love, Yahweh on February 18, 2013 by foodforthespiritualsoul.